A few photos to give you a sense of how this method is accomplished. 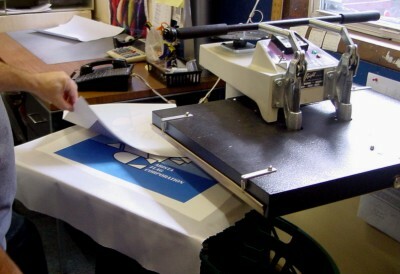 Dye-sublimation transfers are run through this machine with the appropriate polyester material to produce finished dye-sublimation prints up to 56 inches wide. The machine is actually wider but hemming allowance and transfer print allowance has to be considered. 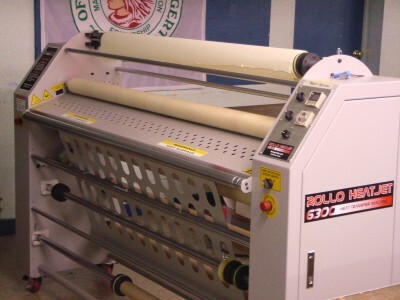 One of the smaller flat presses we use to make smaller dye-sublimation flags, bannerettes, and pennants. 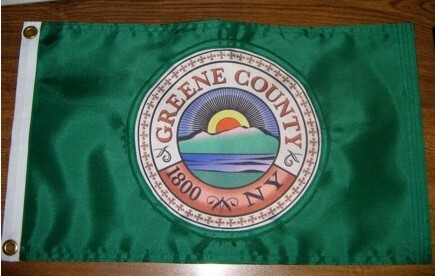 The example shown is a single-side print of our logo. The left hand of the operator is used to remove the printed transfer. The ink from the transfer has been heated to over 400 degrees and has dyed the surface fiber of the polyester cloth. Using a small press like this one, we often test print files sent by customers to see how they will print initially in our our dye-sublimation system. The specific dye-sublimation job is run through a piezo print head which prints prints directly to a transfer sheet of various sizes. The width of the transfer papers used can be up to 60 inches. 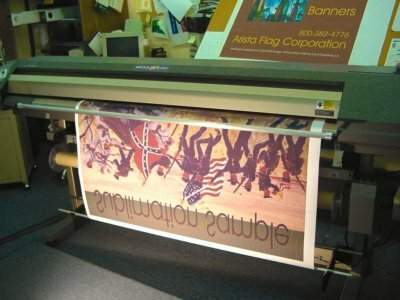 This sample shown is a dye-sublimation transfer that will then be run through a rotary heat press with polyester material to produce a dye-sublimation flag or banner. 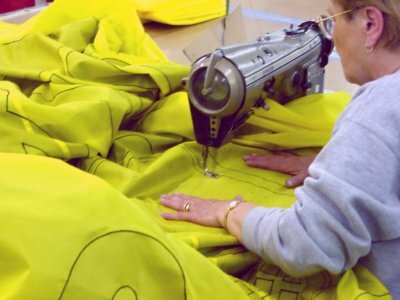 Printed on 250 denier Dacron polyester with a full bleed, and hemmed double-needle stitched sides, top and bottom. 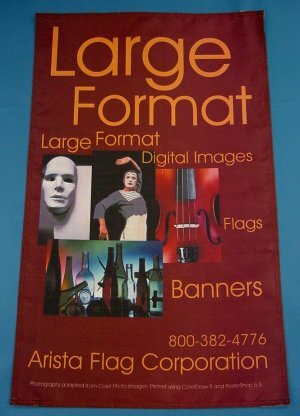 When this sample banner was set up, we considered both the active print area and the hemming allowance area when creating and processing the file.